“I'm a registered nurse and I've been in the business for more than 20 years now. 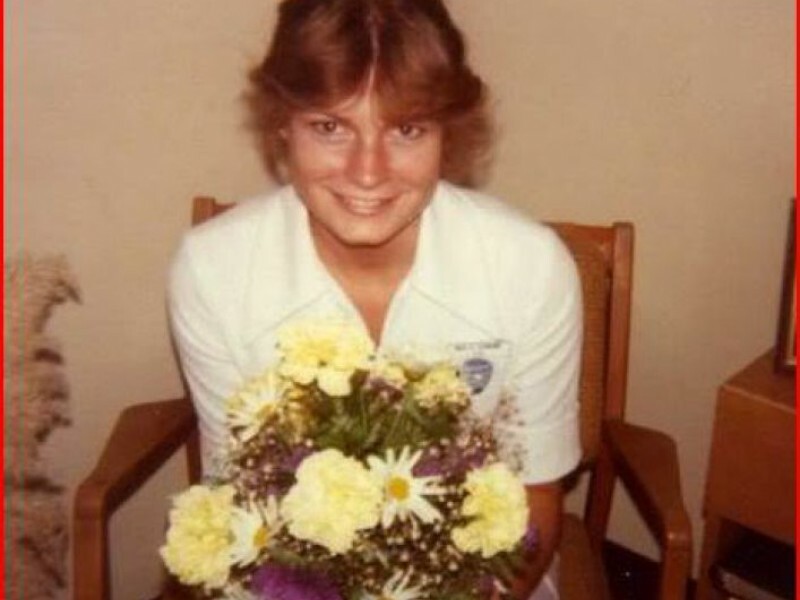 I started at 16 as an RN. I had a couple of paranormal experiences but this by far was the strangest for me. When I initially started my career, I worked at an older hospital in Aurora, Illinois called Presence Mercy Medical Center. Mercy had serviced the Aurora area for more than 50 years. The hospital was built on a property that the Sisters of Mercy had owned for more than 125 years. During that time the location was home to a TB sanitarian and a home for the mentally ill. The hospital still stands today and is known as Mercyville. It's one creepy building. Today the building still provides mental health services and also is a home for elderly nuns. Now in about 2001, I was talked into working a late shift, something I rarely did. It required me to work from 11:00 PM to 7:00 AM. With a group of the most complicated patients. On this night I had a particularly difficult patient. This unfortunate gentleman known as Mr. X in his mid-30s was the victim of over 20 brown recluse spider bites on the back of his right calf. As a result, Mr. X was rushed to surgery to save his leg. Less than 12 hours after the bites occurred, he lost his entire calf muscle. It was gruesome sight. He needed a skin graft but we had to make certain the venom didn't spread to the rest of his leg before they grafted him. He had a giant gaping hole in the back of his leg. You could literally see the muscle tissue and the bone. He would never walk normally again. His care that evening required that I wake him up every two hours and remove gauze and packing from the giant hole in his leg. Then I would place new wet sterile packing back into the same hole so that the tissue wouldn't dry out. He literally had to heal from the inside out. Needless to say he was in excruciating pain. His family spent the night and as a result we gave him the biggest room on our hospital floor. This room was about 3 times the size of a regular hospital room because it used to be the nurse's break-room back in the 1980s. They remodeled sometime back in the 1990s and changed the break-room into a room for complex patients and their families. I entered the room for the first time to check on Mr. X at around 12:30 AM. This is when things get a little funky. I'd heard some stories about voices, footsteps and strange shadows in the Mercy Hospital at night but I'd never seen anything myself. Upon entering the room, Mr. X sat up and complained about not being able to sleep. He was visibly upset with our staff. He stated I'm sick of the nurse who keeps walking in here all night. I keep asking her to leave and every time I open my eyes she's there with this dumb look on her face. So I incorrectly assumed a fellow nurse or nurses had been entering Mr. X's room repeatedly and disturbing him so I gathered the staff at the desk and to a person everyone denied ever going into Mr. X's room. So I informed the staff that I was to be the only nurse attending to Mr. X at night. It was important for me that he was comfortable and be able to get some sleep. At about 1:45 AM Mr. X's call light rang so I ventured into his room and Mr. X was visibly upset and stated, 'I don't know how many times I have to say it but the staff needs to stay out of my room. This time the same nurse actually sat in the chair reading something. I asked her to leave but she ignored me. I fell asleep and it looks like she left.' At this point I assumed it was possible the pain medication was making him loopy and causing him to see things. I was confused by the situation because I knew my staff would follow my directions. In addition, I could clearly see his door from the nurse's station and nobody ever went in or out of that room. Throughout the night Mr. X's brother slept quietly in the chair next to him undisturbed. I assumed that it somebody was actually disruptive and prevented his brother from sleeping that he would also be witness to it. He barely moved a muscle and I figured again that the patient was probably just hallucinating. About 45 minutes later the patient's brother rang the call light. This time he complained that a nurse kept walking in and out of the room. Mr. X and his brother angrily demanded to talk to our supervisor so I obliged and contacted our no-nonsense supervisor Candy. I had a lot of respect for her. She was a tough lady. At one point Candy was in charge of caring for the celebrities at Cedars-Sinai Hospital in Los Angeles. Candy arrived on our nursing floor and accompanied me down to our patient's extra large room. She introduced herself and got right down to business. Okay, we're trying to figure out what staff member is bothering you. What’s she look like? 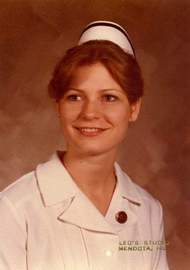 Without hesitating, the patient's brother stated, she's tall, has long blonde hair and she's wearing an old fashioned nurse's cap and an old time white nurse's dresses. Mr. X's brother said that she dresses kind of funny. My supervisor turned as white as a ghost, quickly promised the patient and family that it would be handled. As I exited the room, she was already halfway down the hall. I chased her down and said, we don't have any nurses with hats around here. I still thought the two brothers were having a mental breakdown. Candy replied, get them out of that room! Just put them wherever you want. She went on to say that this has happened before – it's Donna! On February 25, 1983, the defendant called in sick to work and began driving around in car, smoking marijuana. He arrived at a home and kicked in the door, planning to burglarize it. On that day, 10-year-old Jeanine Nicarico was home sick from school. Defendant kidnapped Jeanine, drove out to a prairie path, raped her, then bludgeoned her to death with a tire iron and abandoned her body. A year later, the defendant murdered Donna Schnorr. He noticed her while stopped next to her at a stop light. Defendant sideswiped her car, causing her to lose control and run off the road. He hit her with a baseball bat through the open driver’s side window, tied her up, and raped her then drove her to a quarry and drowned her. A year later, the defendant saw two children riding their bicycles down the road. He pulled over, got out of his car and asked them for directions. Defendant grabbed an 8-year-old girl, and threw her in the front seat and began chasing after 7-year-old Melissa Ackerman. While the defendant was carrying Melissa back to the car, the first girl was able to escape. Melissa’s body was found in a ditch 5 days later. She was raped and drowned and her body was hidden under a pile of rocks. Mitochondrial D.N.A. eventually linked the defendant to Jeanine’s murder. He entered a guilty plea to her murder in this case. (In the 1980s, the defendant had entered guilty pleas to Schnorr’s and Ackerman’s murders in exchange for a sentence of natural life.) At trial, the prosecution also submitted evidence of a previous sexual assault in which the defendant took a women from her home at knifepoint after she pulled in her driveway, blindfolded and raped her, then released her. Another victim was able to escape after the defendant grabbed her while she was running down the street. Apart from the three murders, Defendant was involved in seven separate sexual assaults or attempt sexual assaults and 20 various property crimes.